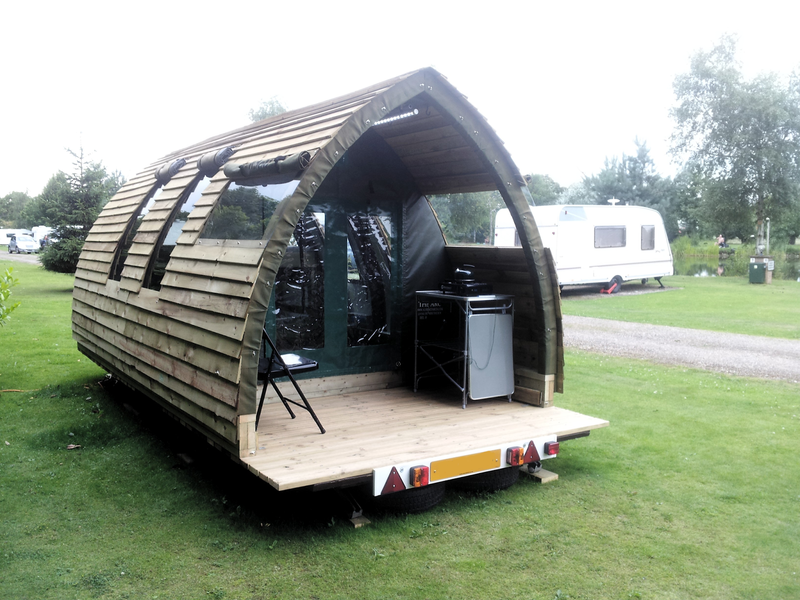 Land owners have the potential to make a healthy profit during the summer months with the new 'Easy Move Glamping Arc'. It has the same look and functionality of the Touring Arc but without the chassis. But don't concern yourself with planning permission headaches, it should be a breeze due to the fact that this model can be disassembled and stored quickly and easily at the end of the season. With a maximum weight of 100 kilos per component, it is an easy, two man job at the end of the season. 3 - The deck is in two halves so can be carried away. If you want to leave it up all winter, then that's not a problem. The Arc is insulated and wind resistant, with its attractive Arc allowing the wind to roll over it rather than hit it. The Easy Move offers the biggest covered porch out of the Alfresco range. Measuring 1.8m long and 2.4 m wide, plenty of space for muddy boots, pets, Alfresco dining or just enjoying a glass of wine at the end of the day. So we all know that to make money you need to spend it. But it is nice when you can keep this to a minimum to lower the risk. This is why the Easy Move is priced at just £3,700 +vat including build on your site. You can easily charge around £60 per night, which means that if you get the word out about your glamping accommodation you should break even after your first season. The days of being sat in a stuffy classroom all day are long behind us. Today schools are obligated to include a minimum amount of outdoor play and learning outdoors. This has seen the emergence in unique outdoor learning areas. 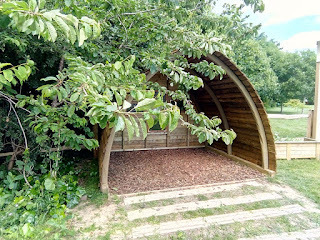 The classroom arc provides a beautiful, unique outdoor classroom for UK schools. 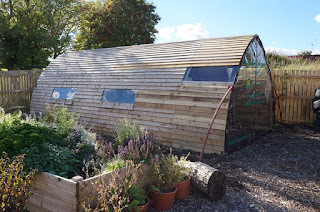 Insulated for all year round use, schools and other organisations such as the National trust, have welcomed these innovative outdoors classrooms. 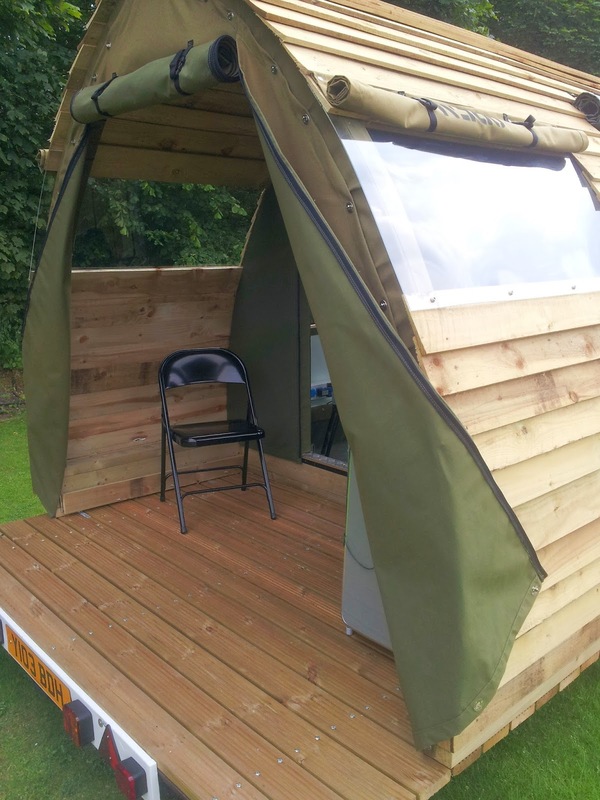 One of our first customers to buy our outdoor classroom was Renfrew High School in Scotland. They needed an outdoor classroom for their eco garden. On a tight budget, the school opted for a classroom arc without insulation and with canvas ends. The children enjoyed building their own outdoor classroom, benefiting from hands on experience in woodwork and construction. They also felt a strong ownership of their outdoor learning space after they had worked as a team to build it themselves. Alverstoke C of E school in Hampshire, recognised the importance of providing an outdoor space for the children to connect with nature. They set about designing a peaceful garden, with our Bird Hide as a key focal point and feature of the outdoor space. Graham Cutter, Head Teacher at Alverstoke said "We chose the arc as a central feature to our new spirituality garden, designed by the school's young governors together with a landscape architect from Hampshire County Council. We wanted a sheltered space where children could sit peacefully and reflect. The arc's windows look out on our woodland area and also represent one of the four elements of spirituality - 'window moments'"
Have you heard of a MUGA? The 'Multi Use Gaming Area'. An area dedicated to allowing the local community to socialise, play and have fun. 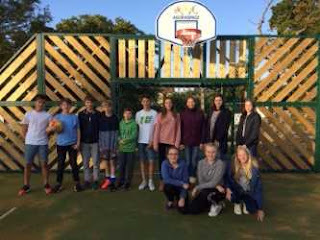 Brockenhurst Village Trust in the New Forest, worked hard to build a MUGA for their community to enjoy. After the ground works, fencing and leisure equipment, they decided they needed a shelter on hand for adverse weather and shade. "Living in the New Forest we wanted something that would fit in with the local surroundings for our shelter. The MUGA and Scout Hut which is within the grounds where the shelter is sited are both wooden clad and wooden bound. We luckily found Alfesco Arc who supplied us with a wooden arc strong enough to house cattle, but beautiful enough to complement our MUGA. The Picnic Arc fits in perfectly with our requirements and is very much admired. The assembly was simple and straight forward."